solutions, and Certifying Officer practices. View our latest White Paper - Preparing for a MERS Audit. Precise, repeatable audit procedures that have allowed us to drive down the fee schedule for completing the MERS Annual Report. Inclusion of a remediation roadmap that has allowed our clients to remedy any gaps between their current state and the MERS requirements. Our ability to provide rapid, cost-effective data reconciliation/correction, should that service be required. 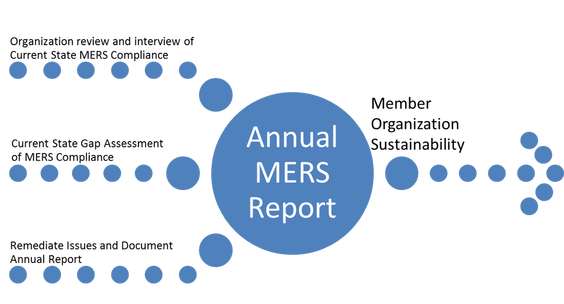 An in-depth management report including any exceptions relative to MERS requirements as well as a gap analysis, observations, recommendations, and a roadmap to remediating the identified exceptions/gaps. We base our findings and recommendations on MERS requirements as well as our understanding of industry leading practices. Sign-off on the MERS Annual Report of Quality Assurance standards compliance. The Actualize team is also prepared to assist in remediating any exceptions that are noted in the MERS Annual QA Report. Deliverables for the follow-on engagement include remediation of the MERS QA Plan, CRMS policies and procedures, as well as implementation of improved data reconciliation processes and systems, as needed. Download a copy of our MERS Service Offering.